Washington (AFP) - Top US Democrats on Friday demanded the full special counsel report on Russian interference in the 2016 election be released publicly with no "sneak preview" for President Donald Trump. Many of the party's challengers for the 2020 presidential nomination, including senators Bernie Sanders and Kamala Harris, swiftly joined calls for full transparency after Special Counsel Robert Mueller submitted his report to Attorney General Bill Barr. 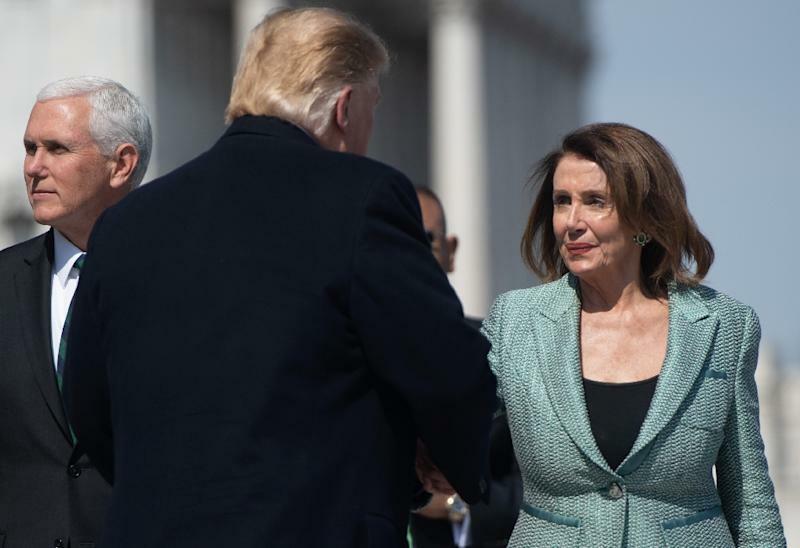 "It is imperative for Mr Barr to make the full report public and provide its underlying documentation and findings to Congress," House Speaker Nancy Pelosi and Senate Minority Leader Chuck Schumer said in a statement. Barr "must not give President Trump, his lawyers or his staff any 'sneak preview' of Special Counsel Mueller's findings or evidence, and the White House must not be allowed to interfere in decisions about what parts of those findings or evidence are made public." As the nearly two-year investigation wrapped up, Democratic presidential hopefuls demanded the White House release the report on Russian election meddling and possible collusion with Trump's campaign. "Attorney General Barr -- release the Mueller report to the American public. Now," tweeted Senator Elizabeth Warren, a staunch Trump critic and liberal candidate challenging him in 2020. The document is confidential, but Barr said in a letter to Congress that he might be able to summarize its "principal" conclusions as early as this weekend. The sentiment among at least nine 2020 Democrats was unanimous: let the report come to light. "I call on the Trump administration to make Special Counsel Mueller's full report public as soon as possible. No one, including the president, is above the law," Sanders tweeted. Senator Kirsten Gillibrand, who holds a campaign launch event Sunday across the street from Manhattan's Trump Tower, also weighed in to say Americans "have a right to know its findings." Senator Kamala Harris, the former attorney general of California, joined her presidential rivals in demanding "total transparency" but took it a step further. "AG Barr must publicly testify under oath about the investigation's findings," she added. Trump has repeatedly branded the investigation a "witch hunt," but on Wednesday he revealed that he wanted Mueller's final report made public. Several Democratic and Republican lawmakers urged transparency in the report's handling. But Senate Judiciary Committee chairman Lindsey Graham, a Republican ally of the president, suggested there was a possibility that some of the report could be withheld. "I will work with... colleagues to ensure as much transparency as possible, consistent with the law," he said. Experts say the report is unlikely to be revealed in the raw, as it could have confidential data on people not charged, as well as top secret information on sources. But the leaders of six House committees, including Judiciary chairman Jerry Nadler, made explicitly clear that the president "must be subject to accountability." If the Justice Department feels it is unable to do so it must provide Congress with the probe's full evidence. "To then withhold evidence of wrongdoing from Congress because a sitting president cannot be charged is to convert Justice Department policy into the means for a cover-up," they warned.